Well we are nearly at the end of the sixth week of trading and what a six weeks it has been! 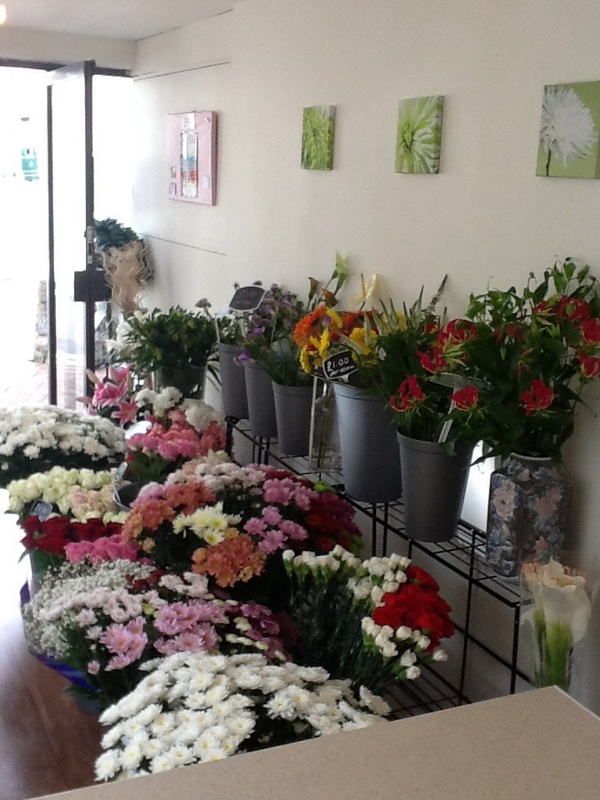 The time has flown by, meeting new customers and having many beautiful flowers come through the shop. The beginning of next week is ultra busy meaning todays delivery was larger than usual with enough flowers to cover two funerals, a wedding and the general amount of stock kept in the shop. 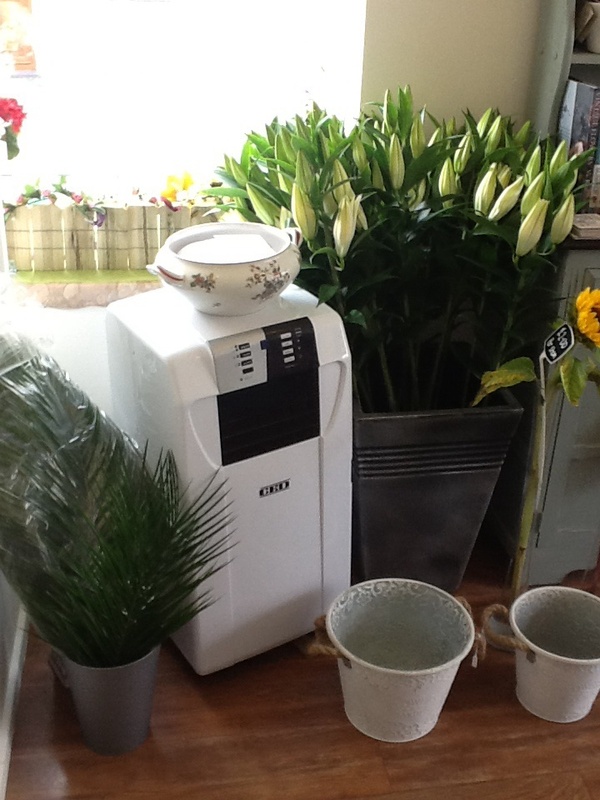 As I have been selling out of flowers quite quickly I have increased the amount of general flower stock in the shop. Today I had the dilemma of not having enough buckets/containers for all the flowers!! A good dilemma to have I guess, it means J’s Bouquets is getting its name out there and it’s reputation is building. 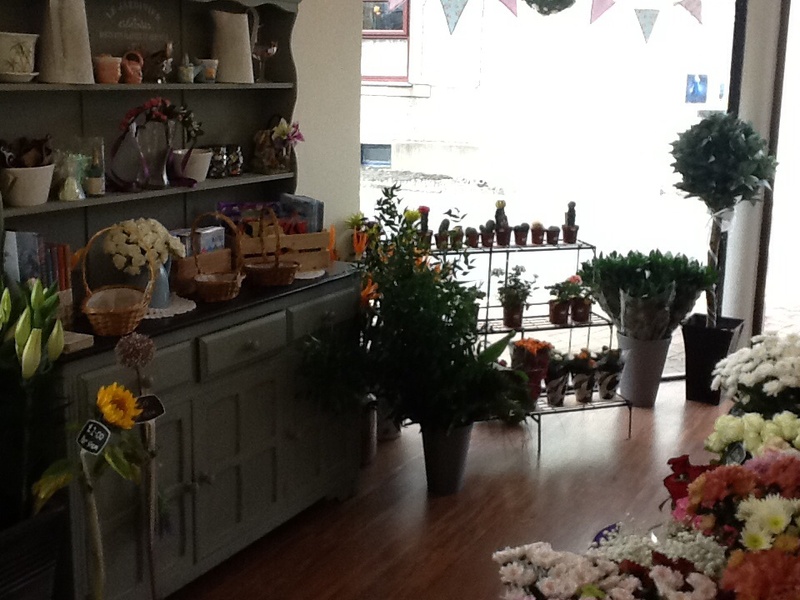 Below are photos of the shop as I left it today, stuffed full of flowers!! A beautiful sight I think you will agree! Ladies, remember the August deal too! Book this month for the 2014/2015 wedding season and get 10% off your final total. Don’t leave it too late as the diary is filling up fast!